Drag a button from the Object Library to the main view and place it beneath the Image View. Change the Title to "Share". Select the "Resolve Auto Layout" button from the bottom-right in the Storyboard and select "Reset to Suggested Constraints". 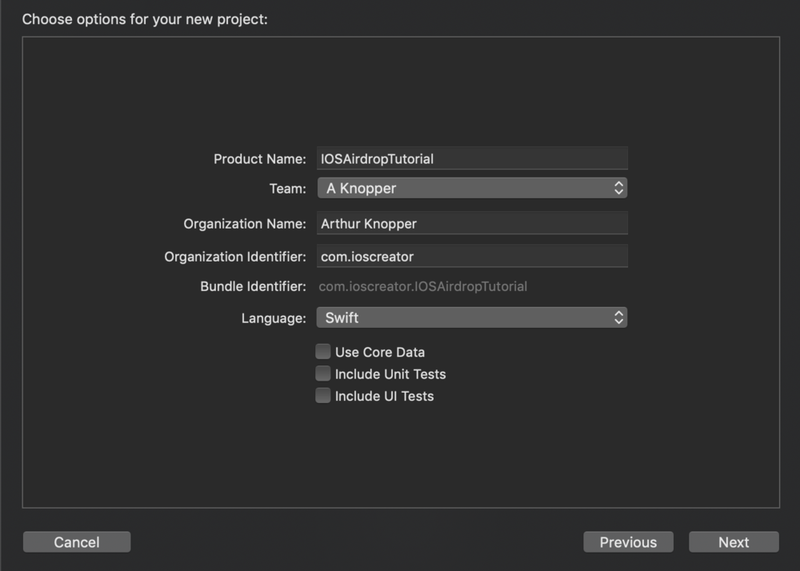 Select the Assistant Editor and make sure the ViewController.swift is visible. Ctrl and drag from the Image View and create the following Outlet. 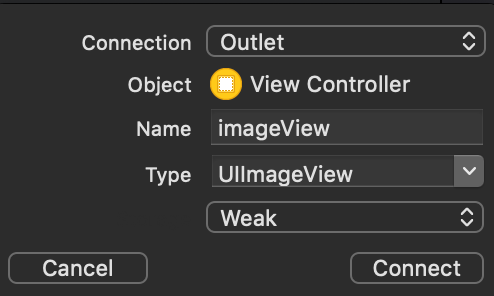 Ctrl and drag from the "Share" Button to the ViewController class and create the following Action. The Activity Controller is a standard View Controller that displays services that your application can use. This services includes Airdrop, Mail, Post to Twitter, etc. In this tutorial only the Airdrop service will be needed, so the other services are excluded. Build and Run the project, press the share button and the Airdrop button. The image can then be transferred to another device. The iOS simulator doesn't have a Airdrop functionality, so this project should be built onto a real device. You can download the source code of the IOSAirdropTutorial at the ioscreator repository on Github.